"We are pleased to recognize Emory Healthcare's commitment to patient safety," says Joseph Parker, president of GHA. 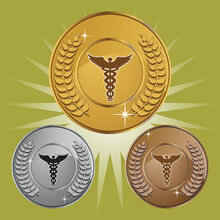 Georgia Hospital Association has named three Emory Healthcare hospitals and one EHC-affiliated hospital to its Partnership for Health and Accountability (PHA) Core Measures Honor Roll. Emory Johns Creek Hospital is one of 17 hospitals in Georgia to be placed in the Chairman's category, the highest category on the list. Emory University Hospital, Emory University Hospital Midtown and Southern Regional Medical Center are among 27 hospitals in the state to be placed in the Trustee category, the second highest category on the list. The honor roll is based on clinical data provided by the federal Centers for Medicaid & Medicare Services (CMS), which administers the nation's Medicare and Medicaid programs. The data was collected from October 2011 to September 2012. Hospitals are required to submit care data to CMS, which details how well a hospital's caregivers adhere to a list of Value-Based Purchasing (VBP) core measures. These measures are the most effective methods of treatment for surgical patients and patients who have suffered heart attacks, pneumonia or heart failure. For instance, a recommended treatment to help prevent a heart attack is to take aspirin either before or upon arrival at the hospital, as well as at discharge. A suggested treatment for pneumonia is to administer an antibiotic within four hours of a patient's arrival. It is recommended that surgery patients be given an antibiotic one hour prior to surgery to prevent infection. The VBP core measure helps determines whether or not a patient received the right care at the right time. A hospital's adherence to these recommended clinical practices usually leads to better outcomes. "We are pleased to recognize Emory Healthcare's commitment to patient safety," says Joseph Parker, president of GHA. "Compliance with these important core measures ensures that every patient receives the best, most effective health care possible." "The physicians and staff at all of our facilities are committed to maintaining the highest standards of care for our patients," says William Bornstein, MD, PhD, chief quality officer and chief medical officer for Emory Healthcare. "This recognition validates our commitment to our patients and their families who deserve the best quality and service when they are hospitalized under our care."